If you don't see the product you are after discounted on our website, please call us on 1300 361 222. ** Please Note: The reduced priced stock is less than 12 months from expiring. Conforming .. 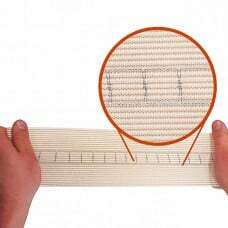 Premium Heavyweight Conforming Bandage with IndicatorFeatures:10cm x 3.3M Un-Stretched 10cm x 10.5M ..
Conforming Bandage - 5cm x 150cm sterile (with use by date) this is a must for every office and hom..
Conforming Bandage - 7.5cm x 150cm sterile (with use by date) this is a must for every office and h..
Conforming Bandage - 10cm x 150cm sterile (with use by date) this is a must for every office and ho.. Please Note: The reduced priced stock is less than 12 months from expiring. Conforming Bandage .. Please Note: The reduced priced stock is less than 12 months from expiring. Our own brand,..
Our own brand, Sentry Manufactured MEDICREPE, is high quality white cotton crepe bandage. ..
** Please Note: The reduced priced stock is less than 12 months from expiring. Our ow..
Blue detectable cohesive bandage. Designed specifically for anyone that deals in food products. .. Cohesive or self-adhering bandage does not stick to the skin BUT it does stick to itself. It can be..